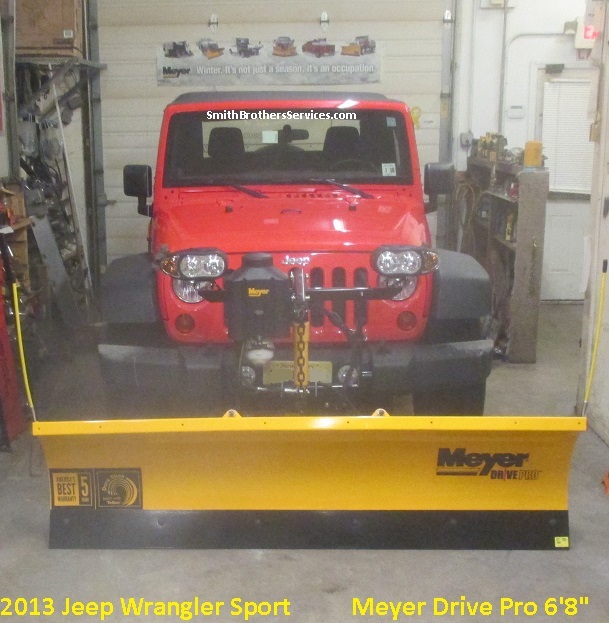 2013 Jeep Wrangler Sport - Meyer Drive Pro 6' 8"
This is a 2013 Jeep Wrangler Sport we installed a Meyer Drive Pro 6' 8" plow on. 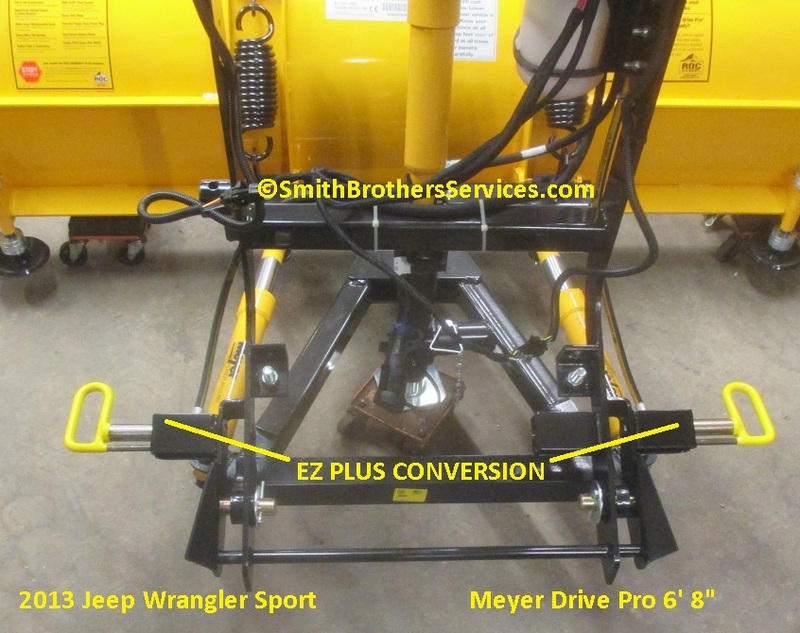 We also did an EZ Plus conversion from the standard Meyer Single Pull design. This was to make it easier for the customer to mount and dismount. 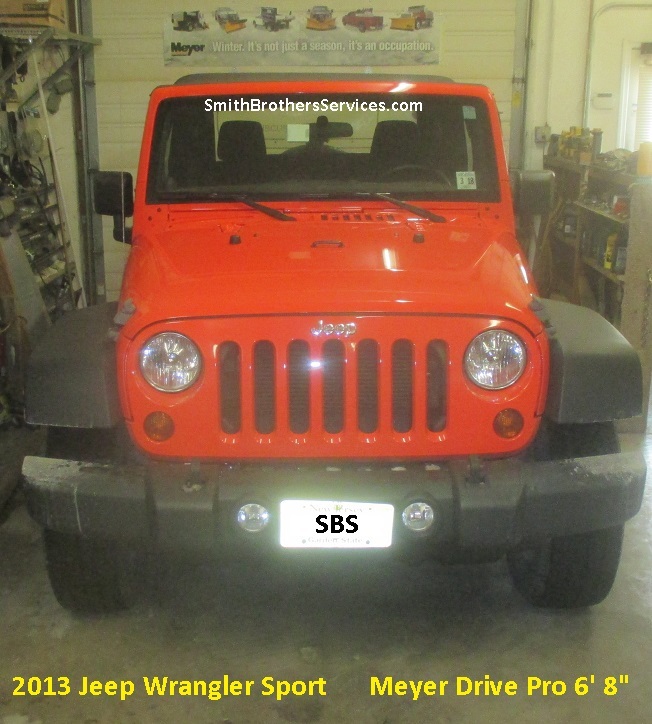 Nice little Jeep with soft top and sliding windows in the doors. 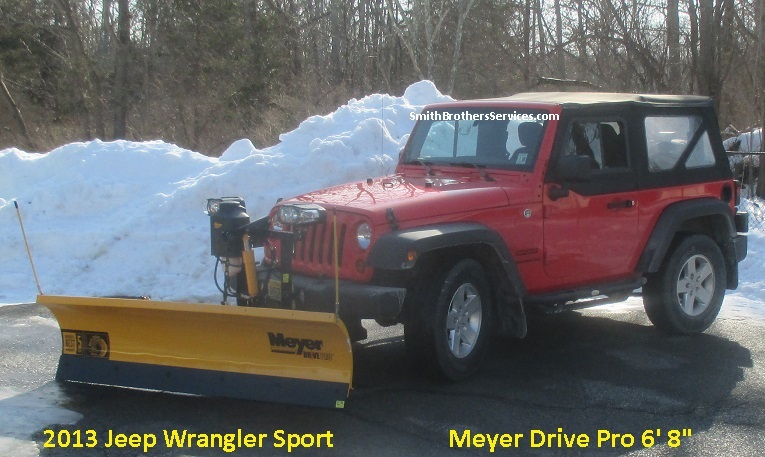 Never saw these on a Wrangler before. Bumper and grille removed. Opening the hood to rest on the windshield frame makes things MUCH easier. Watch the window washer hose, it may need more slack to open that far, just unclip it and move it. 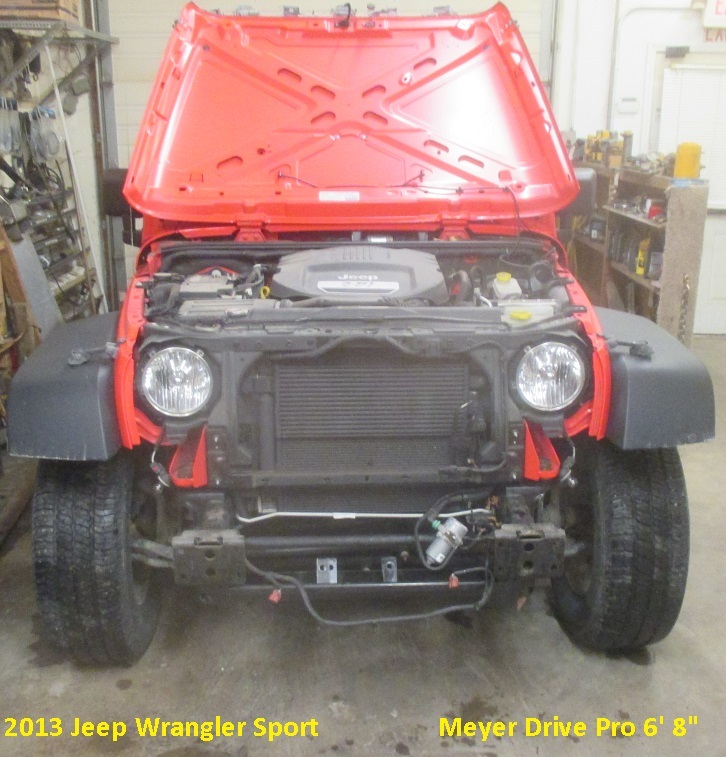 This is a stock 2013 Jeep Wrangler JK Sport. The lowest point of the mount is about 9.5" to the ground. 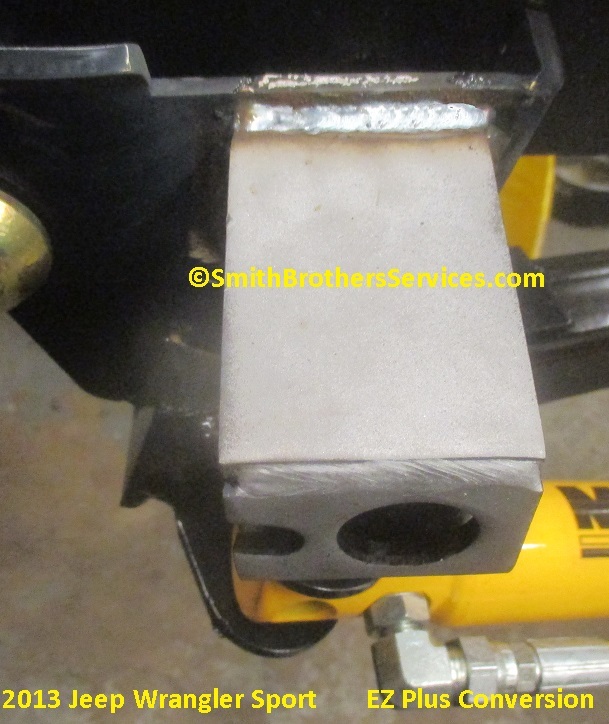 The notch in the Clevis is at 10-3/4" which is perfect. 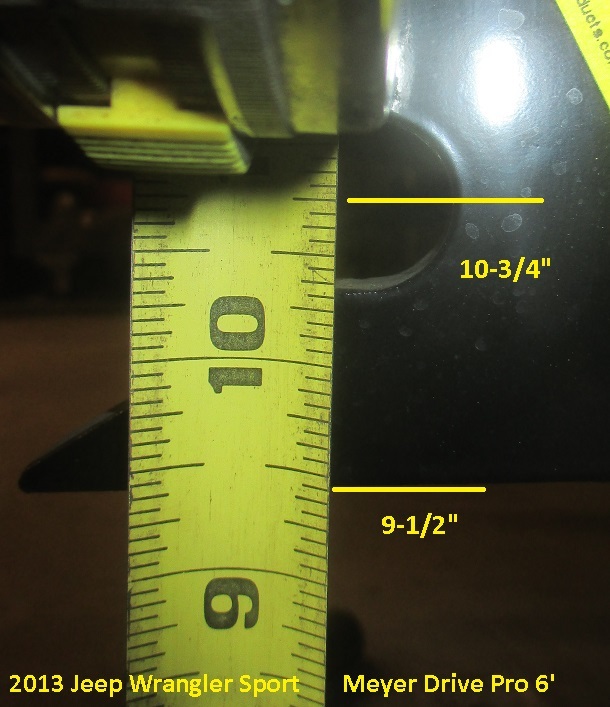 Meyer says 9.5" for the notch in the Clevis, but around 11" is perfect. 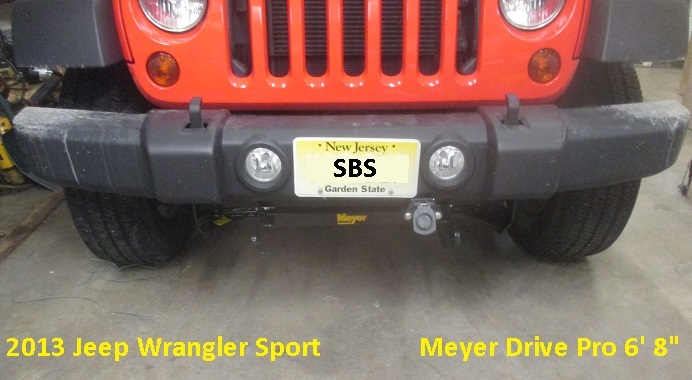 This is the measurement from the ground to the bottom of the frame of a stock 2013 Jeep Wrangler JK Sport. It is about 22-3/4". 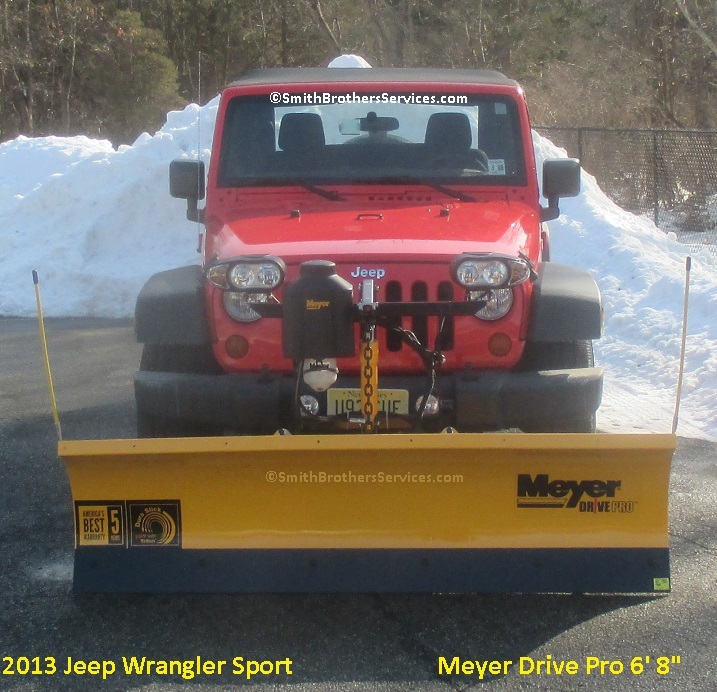 From this we get that it is about 10-3/4" to the notch in the 19836 Drive Pro Universal Clevis, and it is about 10" from the notch to the bottom of the 2013 Wrangler JK frame. 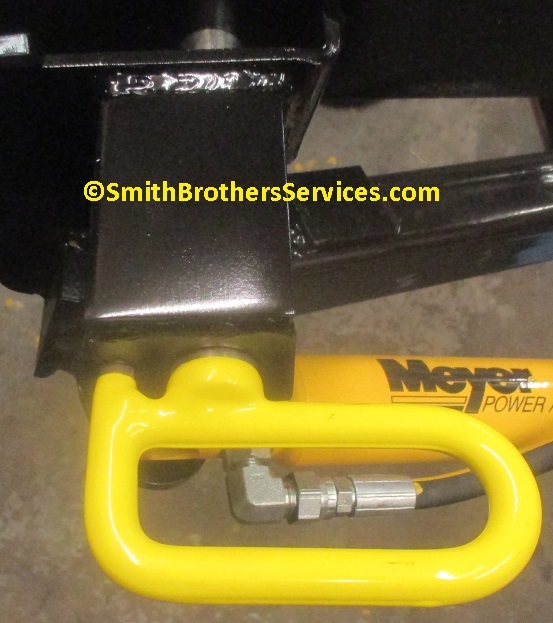 IF I used a 19943 1/2 ton Universal Drive Pro Clevis, it would be 2" lower. 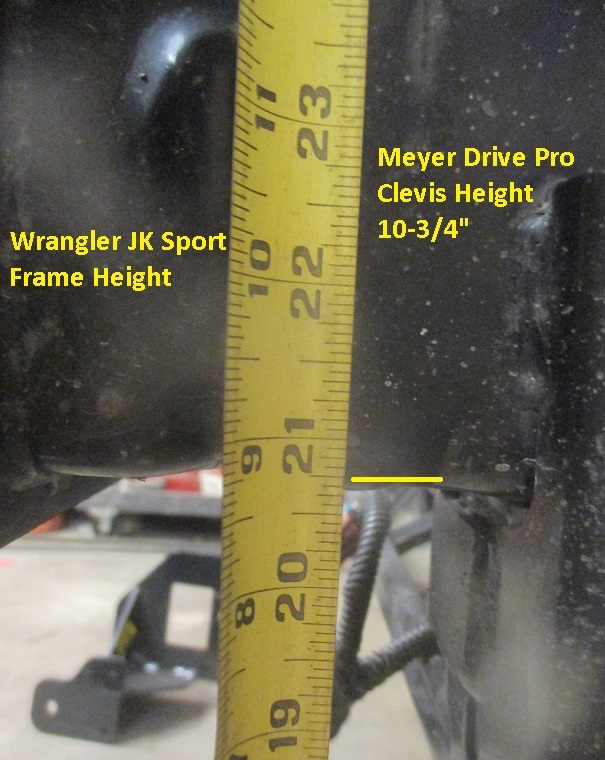 Hopefully this helps someone with a lifted Wrangler JK understand how to get 2" of drop. 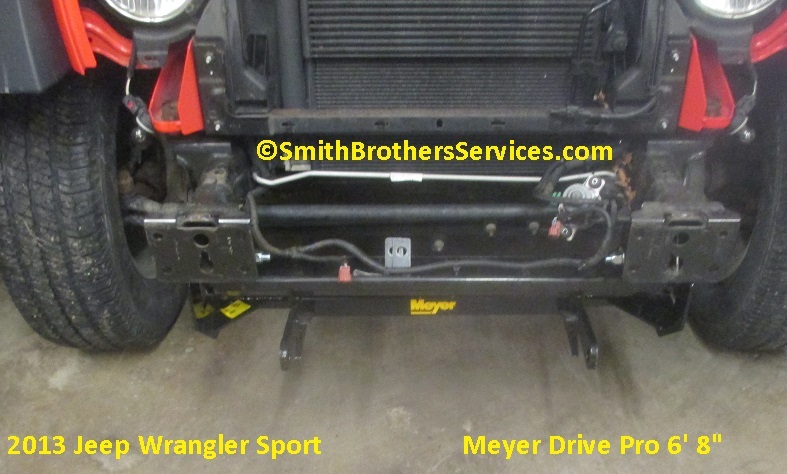 As I mentioned above, this Meyer Drive Pro 6'8" was converted from a Single Pull to an EZ Plus. 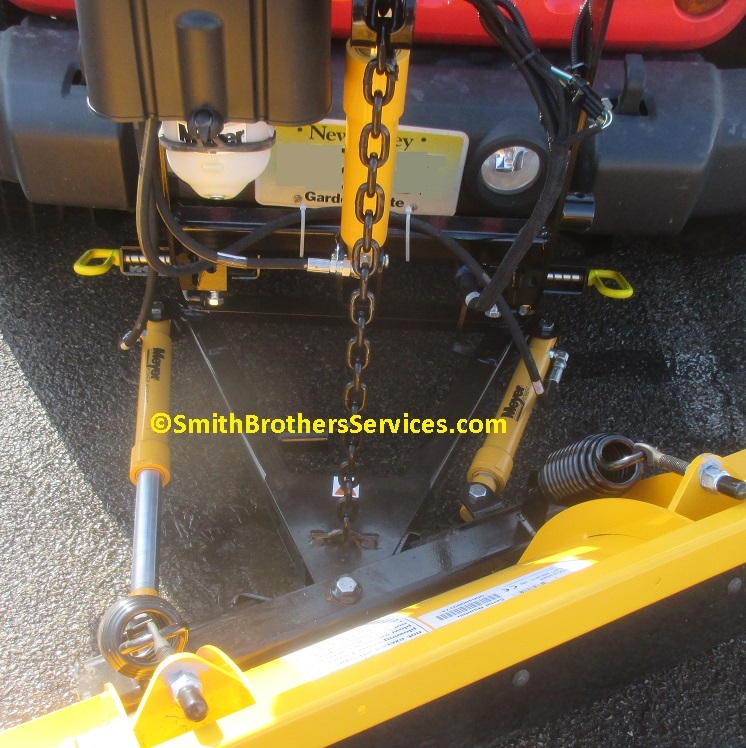 This eliminates the cross bar that connects the two pins of the Single Pull, which can make mounting and dismounting the plow harder. Espeically if the notch in the Drive Pro Universal Clevis was a little lower. 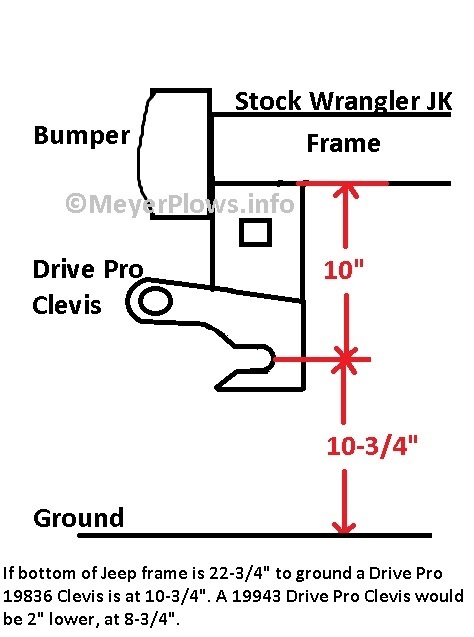 The cross bar would hit the Drive Pro Universal Clevis and unlock the pins making it impossible to get it on the Wrangler JK without a fight, EVERY time. Bumper back on. 1 Piece Plug mounted on custom bracket.